Lara has always loved vintage holiday decorations with Christmas ornaments being her fave. She began collecting ornaments years ago, and when her trees became too full, she needed a new way of displaying them. 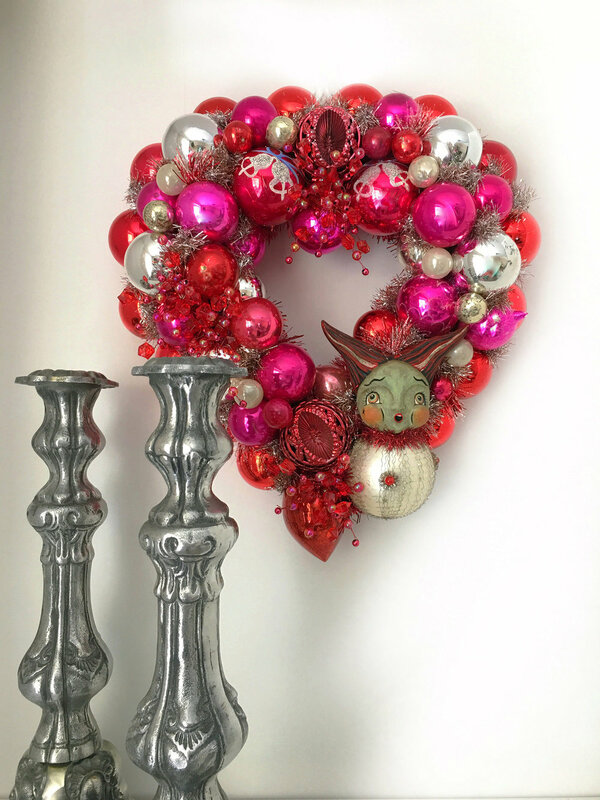 She turned to Pinterest and found inspiration in a medley of bauble wreaths. So, with her hearty collection, she gave it a try and absolutely loved the results! Since then, she’s handcrafted several wreaths for her own home and has given more as gifts. Now, her passion for holiday decorating and wreath-making is turning into an exciting, new business! 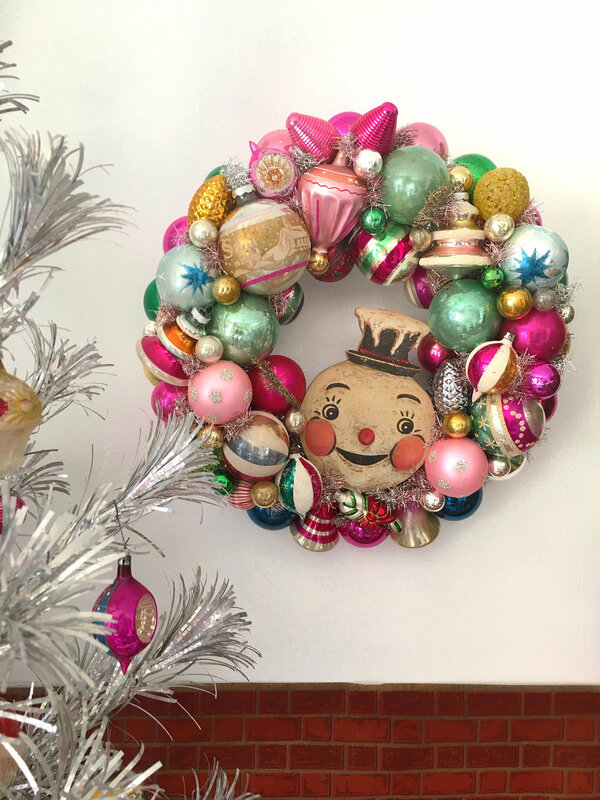 She sources estate sales, antique stores, fairs, and flea markets to find the perfect ornaments and other vintage treasures to add to each wreath. Thanks to Instagram, Lara tagged Johanna after she received a custom snowman woodcut from The Sawmill Shop, fellow JPD Artist Partner. 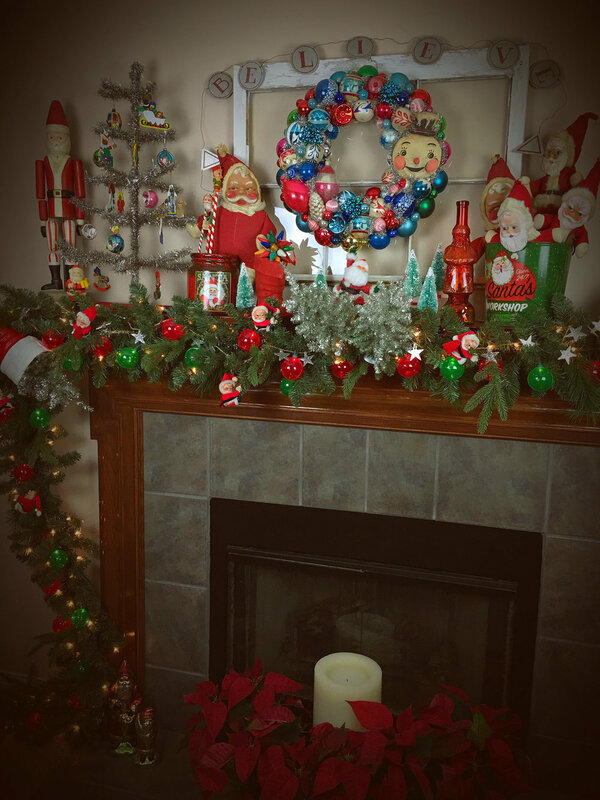 Intrigued, Johanna perused the @WhiteChristmasWreaths feed and was immediately hooked! 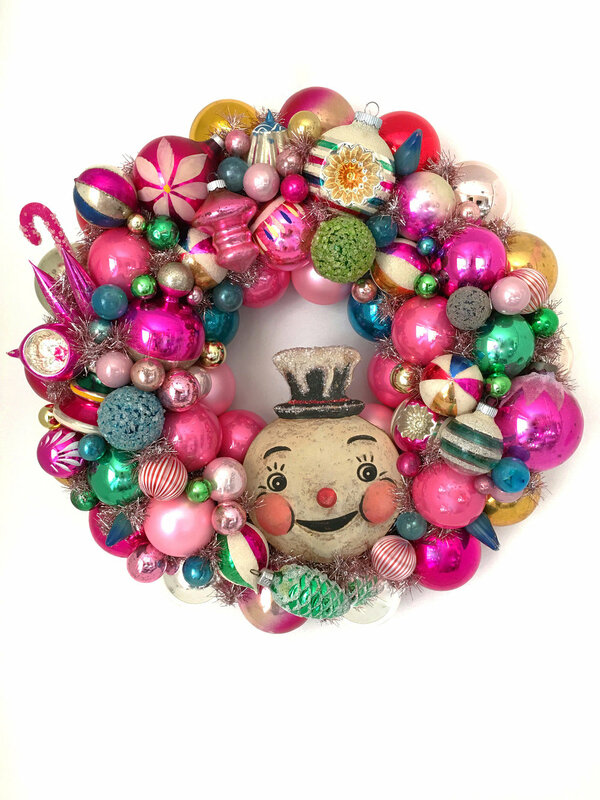 Together they brainstormed and Lara artfully combined Johanna’s retro snowman within her wreath composition. 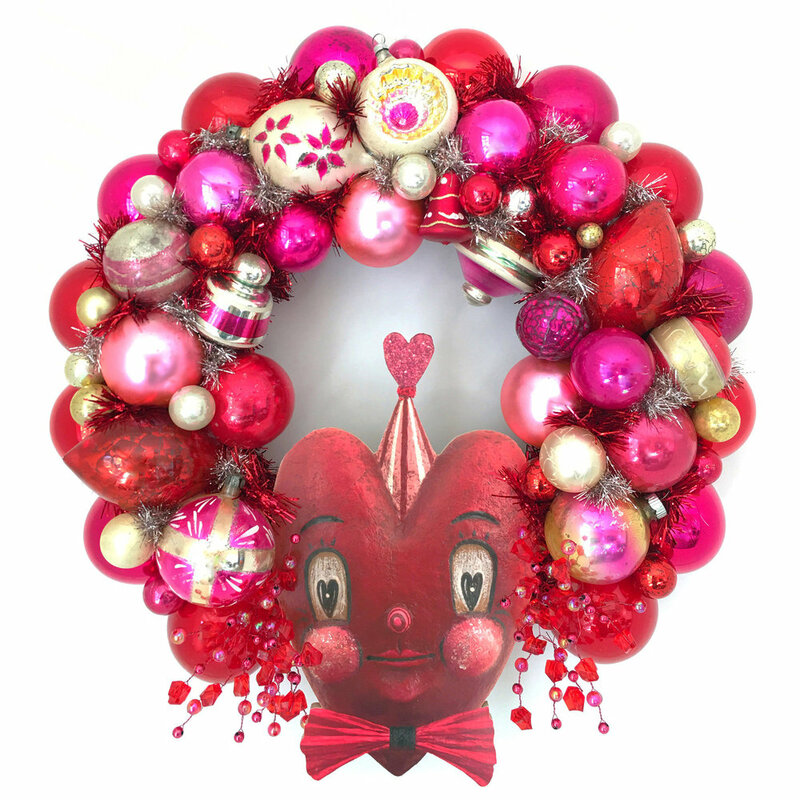 The result is a delightful ring of shiny vintage Christmas eye candy, beautifully composed with a sparkly pop of JPD folk art! 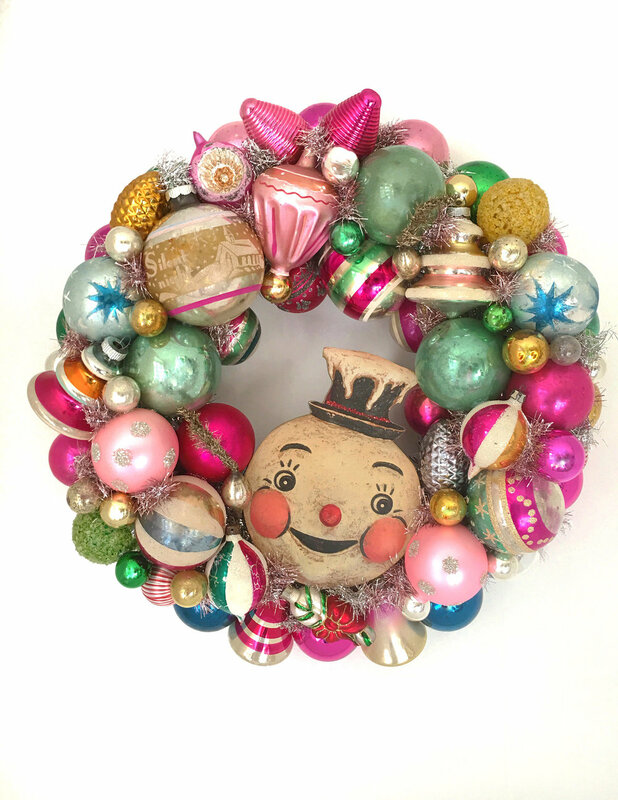 Look for more mixed vintage JPD collaborations to “bauble up” along the way. Custom orders and suggested color combos are welcome.